Just as the preoccupations of any given cultural moment make their way into the language of music, the experience of music makes its way into other arenas of life. 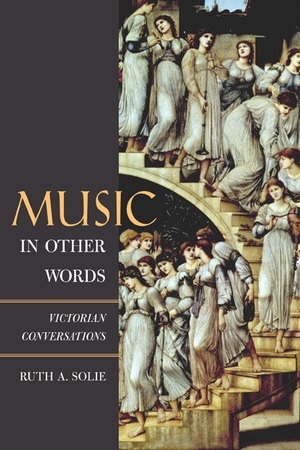 To unearth these overlapping meanings and vocabularies from the Victorian era, Ruth A. Solie examines sources as disparate as journalism, novels, etiquette manuals, religious tracts, and teenagers' diaries for the muffled, even subterranean, conversations that reveal so much about what music meant to the Victorians. Her essays, giving voice to "what goes without saying" on the subject—that cultural information so present and pervasive as to go unsaid—fill in some of the most intriguing blanks in our understanding of music's history. 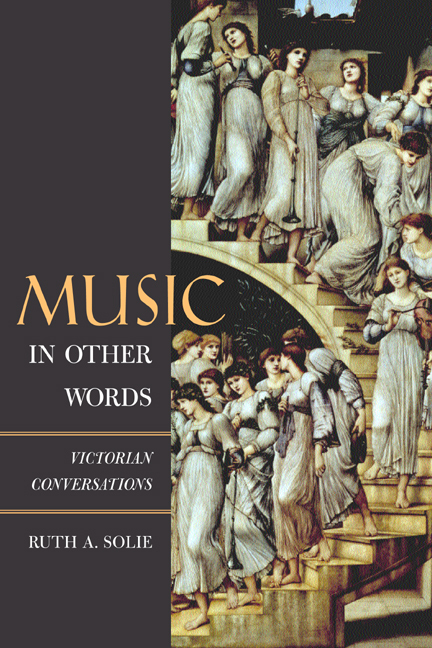 This much-anticipated collection, bringing together new and hard-to-find pieces by an acclaimed musicologist, mines the abundant casual texts of the period to show how Victorian-era people—English and others—experienced music and what they understood to be its power and its purposes. Solie's essays start from topics as varied as Beethoven criticism, Macmillan's Magazine, George Eliot's Daniel Deronda, opera tropes in literature, and the Victorian myth of the girl at the piano. They evoke common themes—including the moral force that was attached to music in the public mind and the strongly gendered nature of musical practice and sensibility—and in turn suggest the complex links between the history of music and the history of ideas. Ruth A. Solie is Sophia Smith Professor of Music at Smith College. She is the editor of The Nineteenth Century, volume 6 of Strunk's Source Readings in Music History (1998), and Musicology and Difference: Gender and Sexuality in Music Scholarship (California, 1993), and a former President of the American Musicological Society.